Islamist group Boko Haram has kidnapped eight more girls in northeastern Nigeria. The latest kidnapping happened on Sunday night in the village of Warabe, in Borno state. The girls taken were between the ages of 12 and 15. On Monday, Boko Haram’s leader threatened to “sell” more than 230 girls seized from their school, also in Borno, on April 14. The Islamist insurgency by Boko Haram has left thousands dead since 2009. The area around Warabe, the site of the latest abductions, is a stronghold of the Islamist movement. The gunmen arrived in two trucks and also seized animals and food from the village. Communications are very poor in the area, which explains why the news took several days to emerge. The village is also close to the Sambisa forest, where the first group of schoolgirls is thought to have been taken. Boko Haram leader Abubakar Shekau released a video on Monday confirming that his group had abducted them. 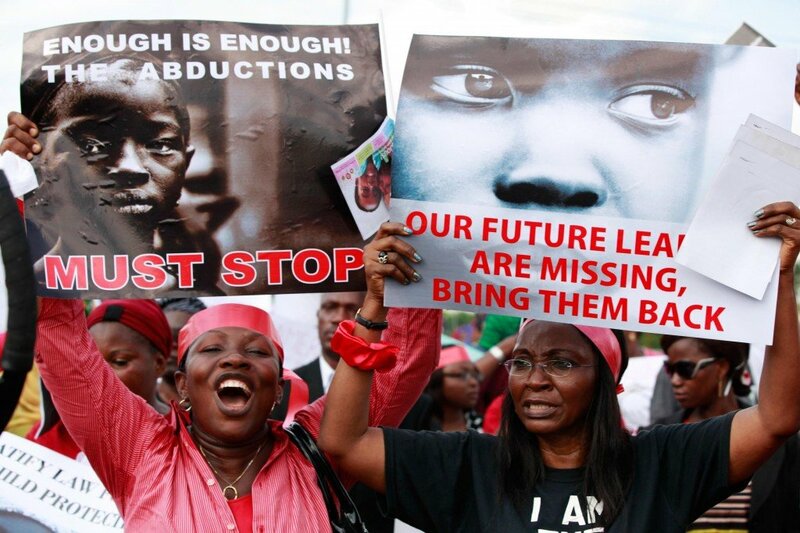 There is mounting domestic and international anger at the Nigerian government’s failure to find the girls. The US called the kidnappings an “outrage” and said it was offering the Nigerian government assistance in trying to find the girls. Boko Haram, which means “Western education is forbidden”, has attacked numerous educational institutions in northern Nigeria.